If you’re new to the LED lighting game, you may not not know your LED strip lights from your LED tubes if you had to tell them apart, but don’t worry, we’ve got you covered! 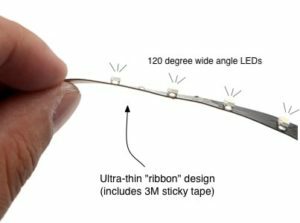 Basically, a LED strip is a flexible circuit board with surface mounted diodes that emit light when you turn them on. Due to their extremely versatile nature, using LED light strips for cars is not their only purpose, they’re also a popular lighting solution for homes and businesses alike. As previously mentioned, LED strip lights are extremely versatile, there are so many options, from waterproof outdoor LED strip lights like the LED Ribbon Strip, to Car Flexible LED Strips that’ll make you the envy of all your friends! You can put them in your wheel wells, around your grille or under your hood. You even get LED strip light that aren’t necessarily waterproof and are great for inside your home. You get thick LEDs that are perfect for your truck and extra thin ones for those specialty projects, the options and varieties are endless, all you need is a little imagination. Before you go ahead and pick a LED strip, you’ll need to know everything there is to know about them. We’ll take you through all the important specifications so you’ll be able to pick LED strip lights like a pro. IP rating: LED strips are classified as either waterproof, weatherproof, non-waterproof and non-waterproof, and will state the relevant IP rating. What is an IP rating? The IP rating is the degree of water or dust your LED will be able to withstand. How you choose which LED strip you’ll need will depend on the project you’re thinking of starting, different LEDs are suited for different uses. 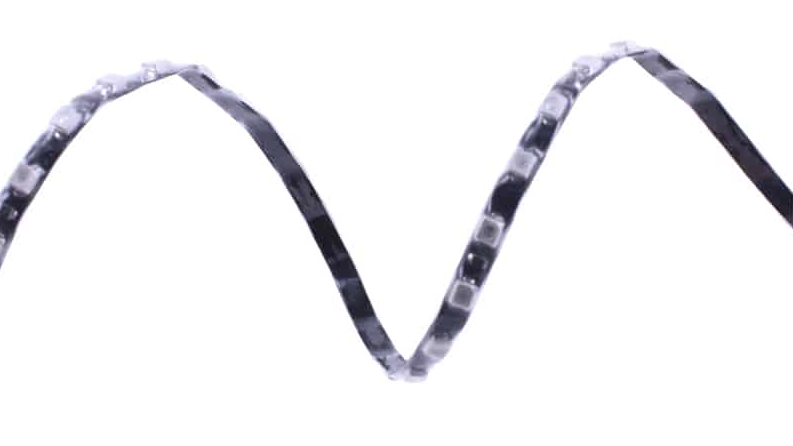 Indoor LED strip lights like the Pre-wired Ribbon LED Strips will usually have an IP rating of less than IP65, these should never be used in areas where they might be exposed to water like the bathroom for example. Outdoor LED strip lights need to have an IP rating upwards of IP65, like the Bi-color Waterproof LED Strip, these LED light strips for cars are commonly used for headlight, turn signal and brake light applications, while others work great for garden and pool features, which is why it’s important that they’re waterproof. Brightness: While many of us still use wattage to get an idea of how bright a light is, using “lumens” would be more accurate, wattage simply describes the amount of energy used. So what exactly is a lumen? Lumens are the total amount of visible light that a source emits, so the more lumens, the brighter the light will be. You could keep your options open and hook your LED strip lights up to a dimmer so you can control the brightness exactly the way you want it. Color: The shade of a white LED depends on the Correlated Color Temperature or “CCT”, CCT is measured in Kelvin (K). The higher the Kelvin value, the the closer to “cool white” your light your light will be. The lower it is, the more yellow or “warm” a light will appear. If ordinary white LED strips just don’t do it for you, RGB LED strips can take your ride from ordinary to outstanding and can even help you to add character to previously dull home features. Why not take full control of your color changing led light strips? 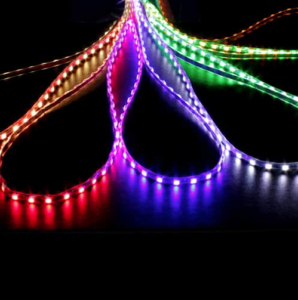 The Pre-wired Ribbon LED Strip is a good example of LED strip lights that come in a wide variety of colors, with a RGB million color option that you can hook up to an RGB LED Controller to make them flash, strobe and change colors. Length: Before committing to any LED strip, you’ll need to have a good idea of how long or wide your LED strip will need to be to fit in the space. 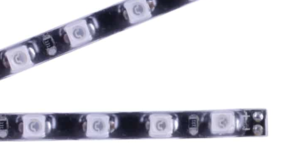 Most LED strip lights will have a set length that they’re available in, while some are available in more than one length. Still too short to suit the task? Simply daisy chain more than one of LED strip lights together, just ensure that you don’t connect too many so you’re not exceeding the maximum run, or your LEDs won’t burn as brightly as expected. If your 12 volt LED strip lights are too long, you can usually cut it quite easily with a sharp utility knife after every 3 LEDs, just make sure you don’t cut through an important power wire. 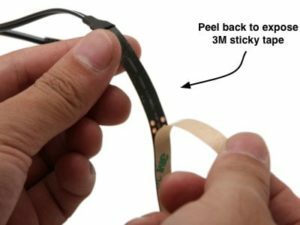 Most LED strip lights will have 3M tape included which should be stuck to the back of the strip, if not, purchase some and apply it yourself, remember to clean the surface you’ll be applying the strip to, it couldn’t be easier! For Flathead LED Strips, try mounting brackets to mount your LED strip to any surface you choose.